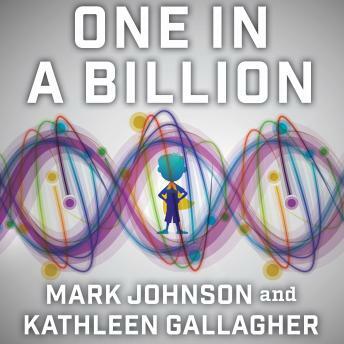 In this landmark medical narrative, Pulitzer Prize-winning journalists Mark Johnson and Kathleen Gallagher chronicle the story of Nic Volker, the Wisconsin boy at the center of a daring breakthrough in medicine-a complete gene sequencing to discover the cure for an otherwise undiagnosable illness. At just two years old, Nic experiences a searing pain that signals the awakening of a new and deadly disease. For years, through false starts and failed cures, he holds on to life, buoyed up by his mother's fierce drive to get him the care he needs. But when even the world's experts are stumped by Nic's illness, his doctors come up with a radical, long-shot plan: a step into the unknown. The next major scientific frontier, following the completion of the Human Genome Project, was to figure out how to use our new knowledge to save lives-to bring genomic or personalized medicine into reality. It's a quest that is undertaken by researchers around the world. But it is only when geneticist Howard Jacob hears about young Nic that the finish line finally comes into sight: It's no longer a race to make history. It's a race to save this boy's life.